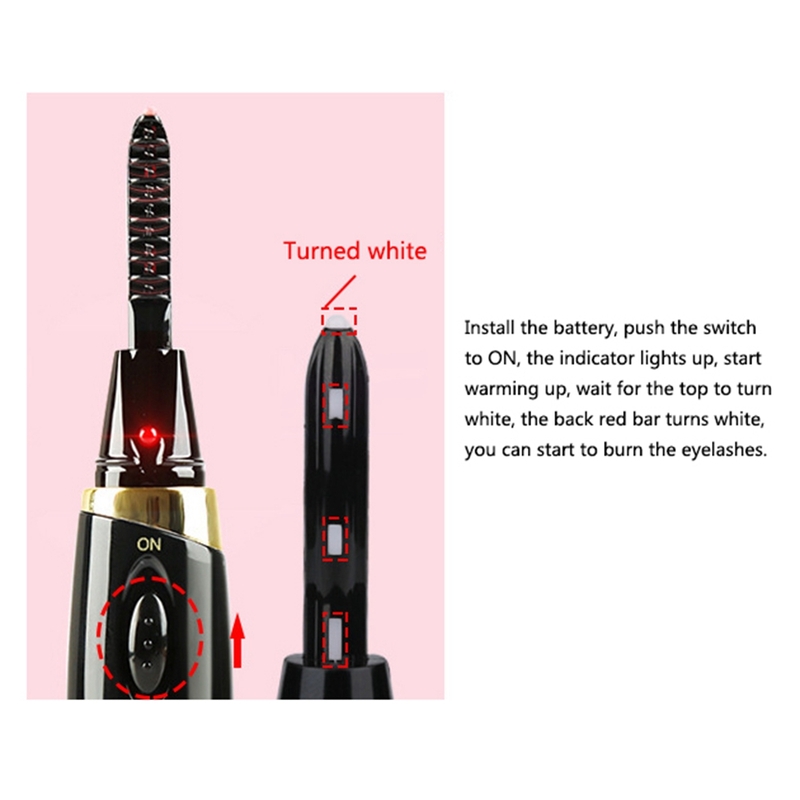 1>The eyelashes are preheated, the battery is installed, the switch is pushed up to ON, the indicator light is on, the preheating starts, waiting for the top to turn white, the red strip on the back turns white, and the heart starts to burn the eyelashes. 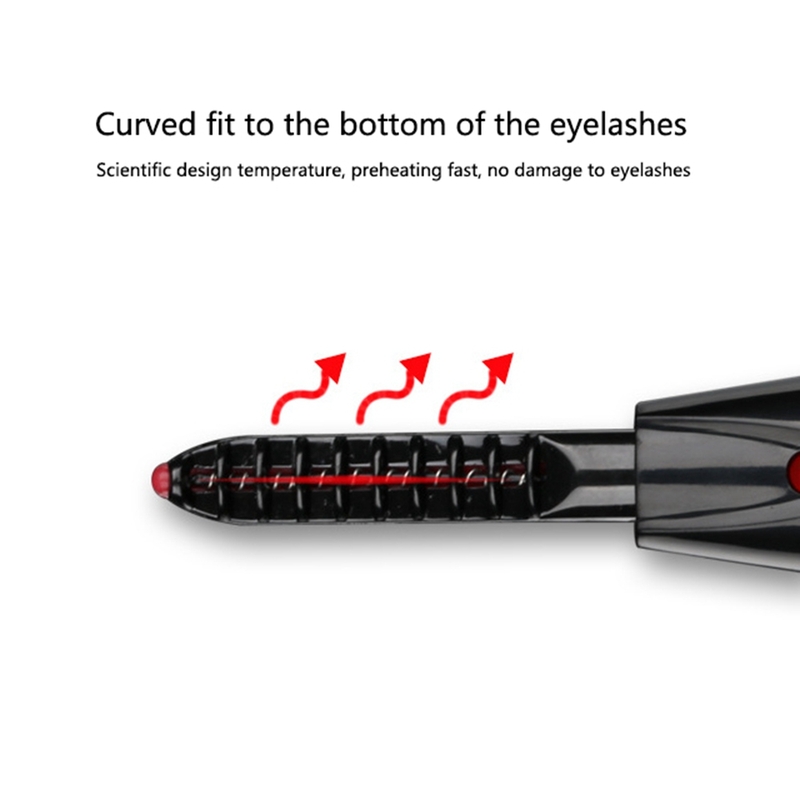 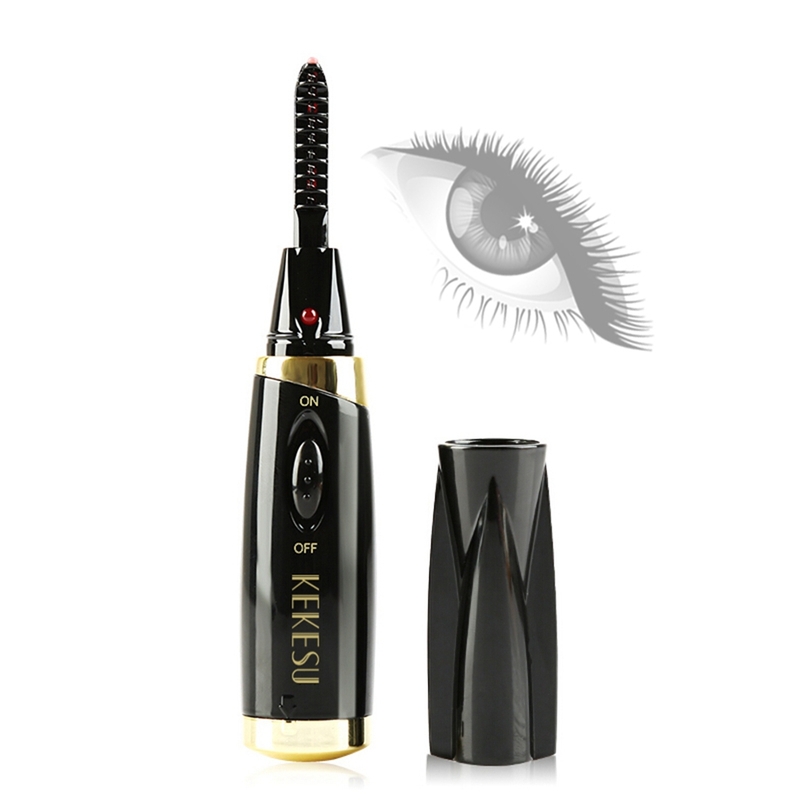 2> Use the eyelash curler and keep pressing at 45 degrees for 3-4 seconds at the root of the eyelashes. 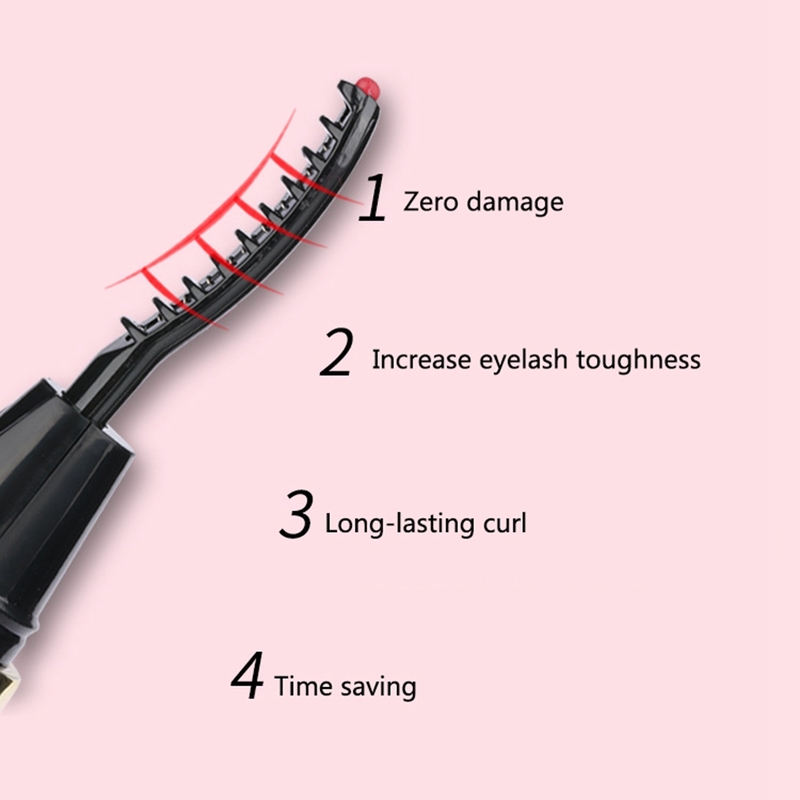 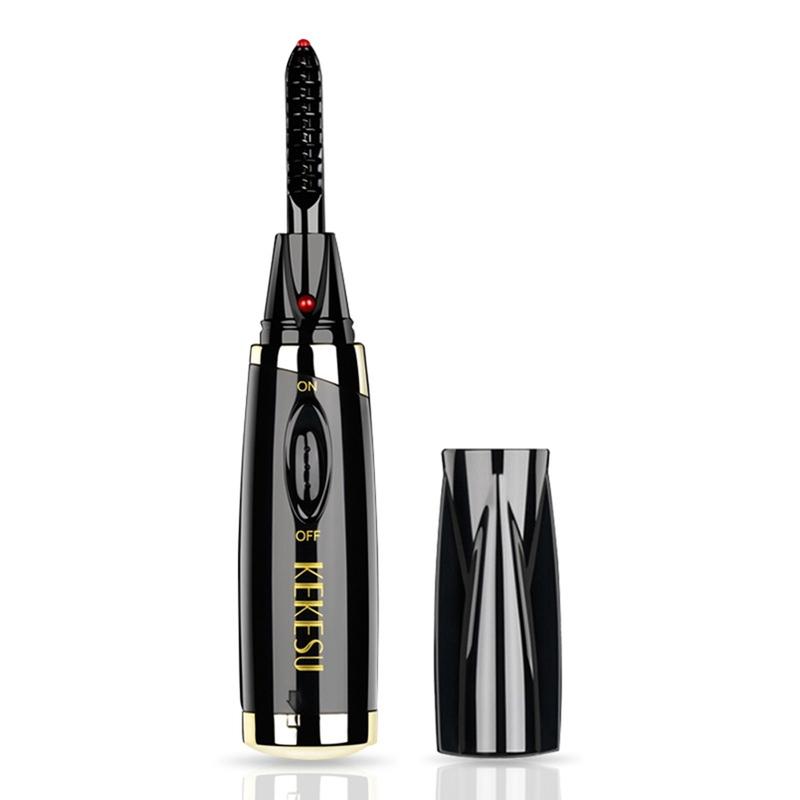 Move up like a mascara and stay for 3-5 seconds, repeating 3-4 times. 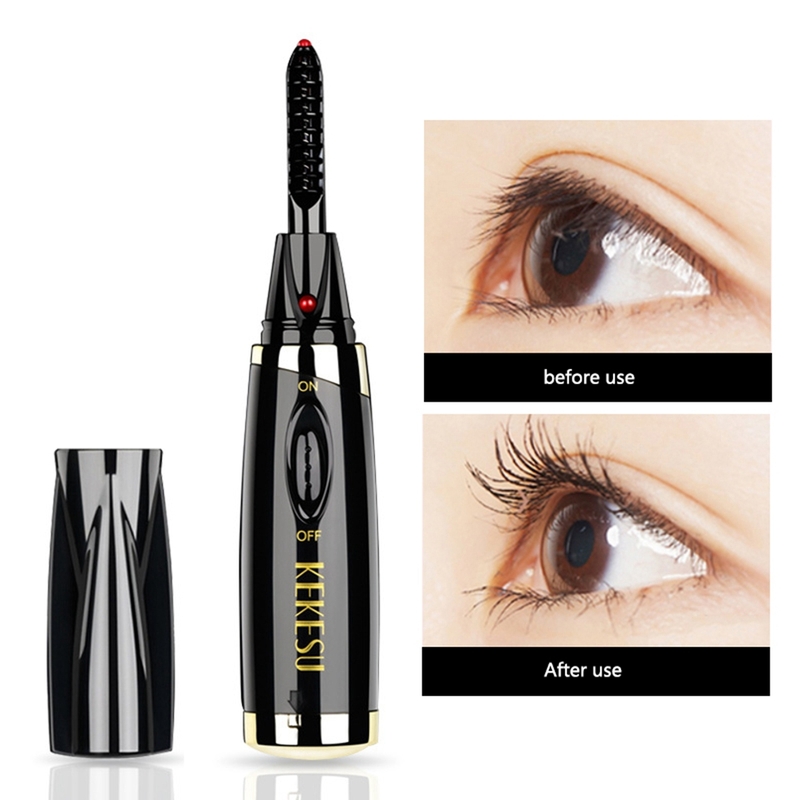 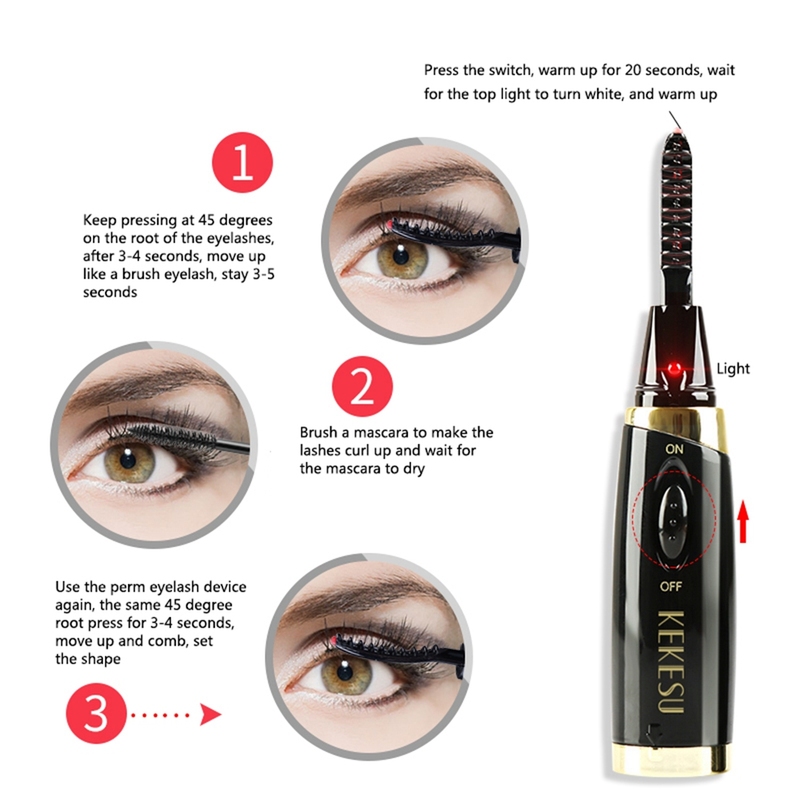 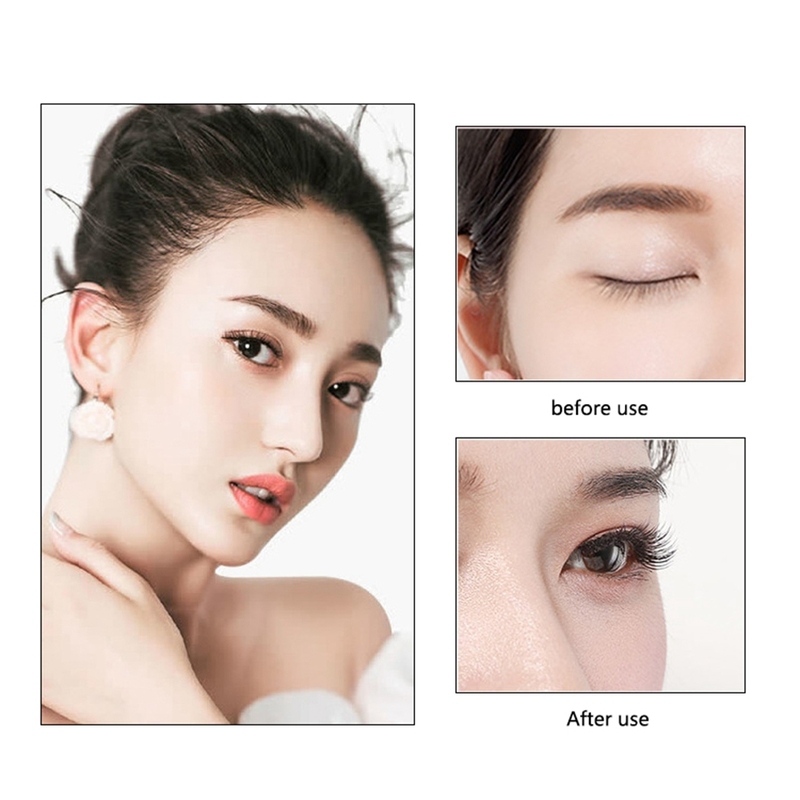 3> Brush mascara, brush a mascara, make the lashes curl up, wait for the lashes to become curled, wait for the mascara to dry, and shape.